As part of our professional cleaning services is the One off Cleaning Ipswich and Suffolk. This is an excellent service to refresh your house and clean off the clutter. 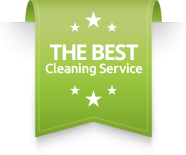 Our experience has helped us to offer you an excellent one off cleaning service at reasonable cost. A Better View Ltd provides cleaning at exceptional standard. The guaranteed quality is part of our success and we constantly work hard to improve our service. We know your expectations are high and we work strenuously to achieve outstanding results every time we clean your home. What do our One off Cleaning services include?